El Dorado Nursery — Tired of the Heat? We are too, but we have a solid week of nicer weather on the forecast (hopefully more to come) and this would be a great time to refresh our flower gardens and patio containers. We just got a fresh shipment of perennials. 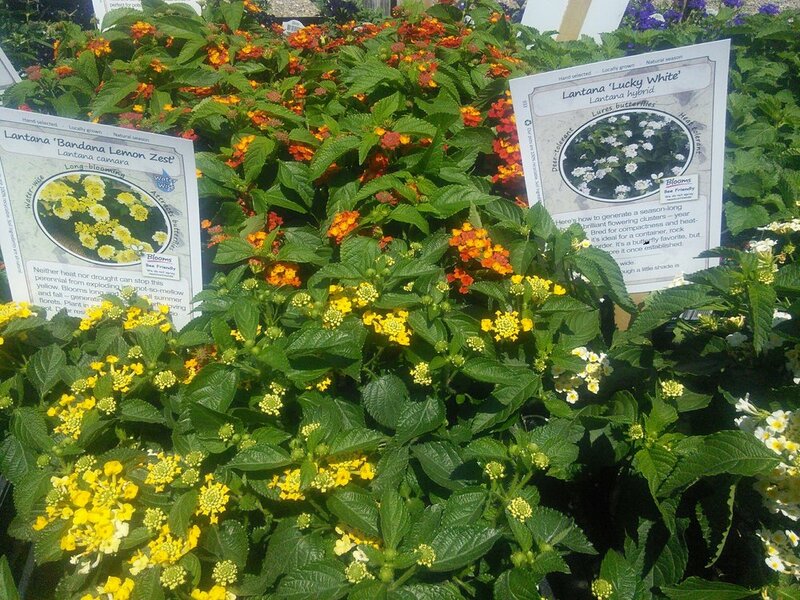 Verbena, Lantana, and Calibrachoa for those hot spots and some cool Begonia varieties for shade. We also have three species of Milkweed for your butterfly garden, two California natives (speciosa and fascicularis), and a nice Golden flowered form of Asclepias curassavica from Mexico down into Central and South America.